Thanks for this remastered edition. The bonus tracks are different from the original version. It would be great if you could also scan the covers, but thanks a lot anyway. (1) Zeno Roth has stated that anyone interested in obtaining his discography would be better off buying the Japanese editions. 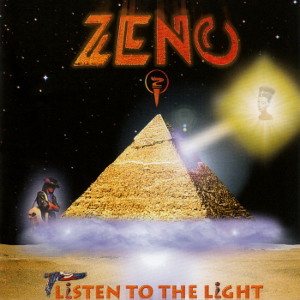 If you intend to purchase past Zeno albums (“Zeno”/“Zenology”/“Listen to the light”), we strongly recommend the re-mastered versions, which were exclusively released by Toshiba EMI Japan. They are of a higher Audio quality throughout, as they were completely revised and re-mastered by Zeno himself. Also the standard of artwork reproduction is higher in the Japanese releases, especially “Runaway to the Gods”. (2) You must have skipped reading the description, otherwise you wouldn’t be requesting the artwork. By the way, do you have “Zenology” remastered? The FLAC files are fine (thanks). Mp3 files in MEGA were deleted, mp3s in solidfiles are corrupted. I downloaded it twice and I get the same CRC in both rar files, but it is different from the correct one. Any chance of it being reuploaded?